“Sorbets and gelato are the products of the most refined human intelligence.” Thus wrote the Neapolitan doctor Filippo Baldini back in 1775, when he published the treatise, “De’ Sorbetti”, where he stated that gelato and sorbets are good both for the body and mind, describing their positive effects on health and mood (for anybody needing a scientific proof). Today gelato is a beloved product representing Italian excellence and creativity around the world. Here’s a tasty guide for all gelato lovers out there - and we know there are many! The origins of gelato go back 12,000 years when, in Mesopotamia, slave runners traveled up to 100 kilometers to collect ice and snow used to cool drinks served during royal banquets and religious ceremonies. During the 11th century, the Arabs developed “shrb”, or sugar syrup, a base for making fruit sorbets, medical herbs, spices and flowers. “Shrb” was the predecessor of sorbet, which became very popular in Sicily when it was under Arab rule; the Arabs grew in fact as many as 400 different types of flowers to flavor their sorbets. 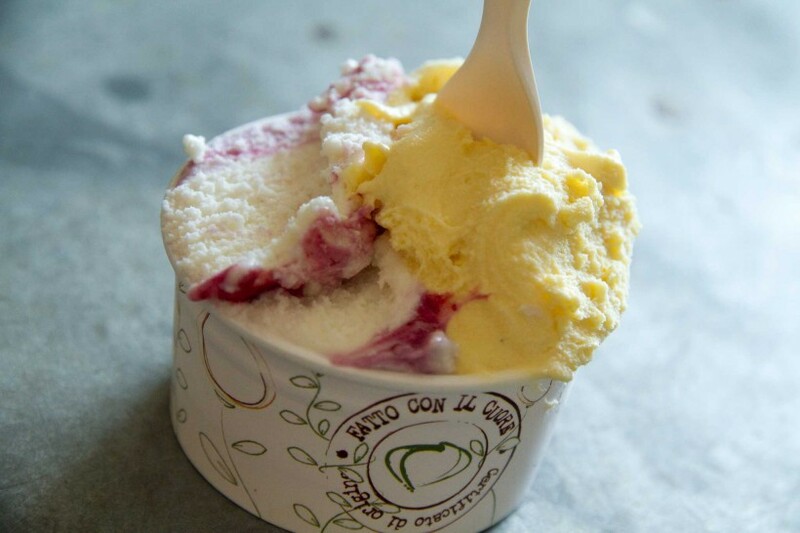 The “modern” history of gelato begins in the Renaissance, with alchemist Cosimo Ruggieri, who is credited with creating the first gelato flavor at the court of the Medici family in Florence, the fior di latte. At first, gelato was an exclusive product, available only to the wealthy because ice and salt were very expensive; it was the Sicilian Francesco Procopio Cutò who brought gelato to the masses when he opened Café Le Procope in Paris in 1686 and started selling it. The 20th century marks the birth of the gelato cone, while production techniques become mechanized. The American Emery Thompson built the first automatic ice cream machine in 1904. During the early 1940s, Bruto Carpigiani from Bologna worked on the design of a new gelato machine which would be cleaner, faster and more efficient than the others then available. Today, Carpigiani is one of the biggest producers of gelato-making machines worldwide. From the 1950s on, gelato starts to become a flagship of the Made in Italy, with most innovations taking place here. Thanks to better technology that made gelato safer and easier to produce, gelato makers were able to concentrate on the creative side of their trade. The general English translation for gelato is ice-cream, which makes no distinction between industrial ice-cream and fresh, artisan gelato. However, there are important differences between the two: gelato is less fat, contains less air and it's served at a higher temperature than ice-cream. These factors give gelato a creamier and smoother texture and a much richer taste. In addition, gelato offers a wider variety of flavors compared to ice-cream; and it's made with fresh ingredients in smaller quantities, as it never uses the long-life ingredients that industrial ice-cream, produced in large quantities for supermarkets, employs. That’s why artisan gelato is synonym with freshness. Besides, because it’s artisanal, it can be easily adapted to the different tastes and preferences of the different populations simply by diversifying ingredients and flavorings. The ingredients used to make gelato – water, milk, eggs, cream, sugar, cocoa, fruit and more – determine its high nutritional value. Those ingredients provide proteins, carbohydrates, fats, vitamins and minerals, making gelato a wholesome food. Milk provides high-quality proteins and calcium; lactose and saccharose, the sugars used in gelato, provide a good source of energy, as do fats. 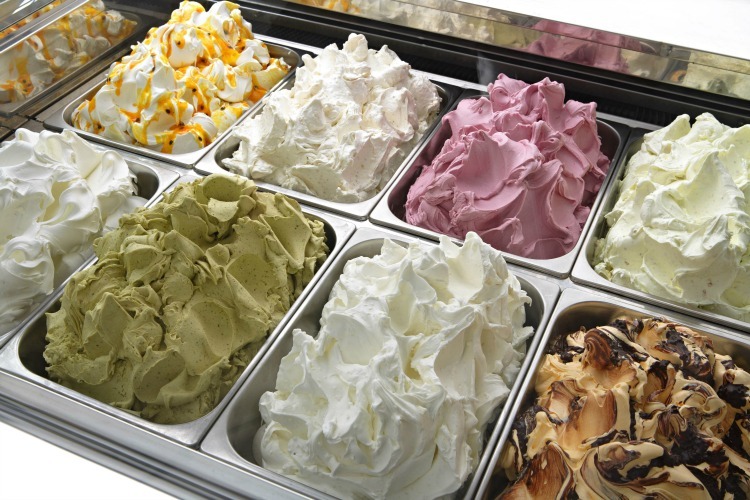 Gelato also contains vitamins A and B2, as well as phosphorus. Gelato has a better nutritional intake than a sandwich (hint on what you should eat on your next lunch break). So, forget those guilty feelings, gelato is good for you! If you've been in an Italian gelateria, you'll have noticed that the counter is usually divided into two areas, one for the "creme" flavors, such as chocolate, hazelnut, crema and bacio, and one for "frutta", fruit-flavored gelato, such as lemon, strawberry, melon and peach. The main difference between the two types of flavors is the use of milk, cream and eggs, which are added in the first type of gelato; on the other hand, fruit gelato normally only employs water, sugar and fruit pulp, although some flavors, such as banana and coconut, call for the addition of a bit of milk or cream. Fruity flavors are very popular in the summer time because they're fresher and lighter (I still like my "creme" flavors even with 40°C).